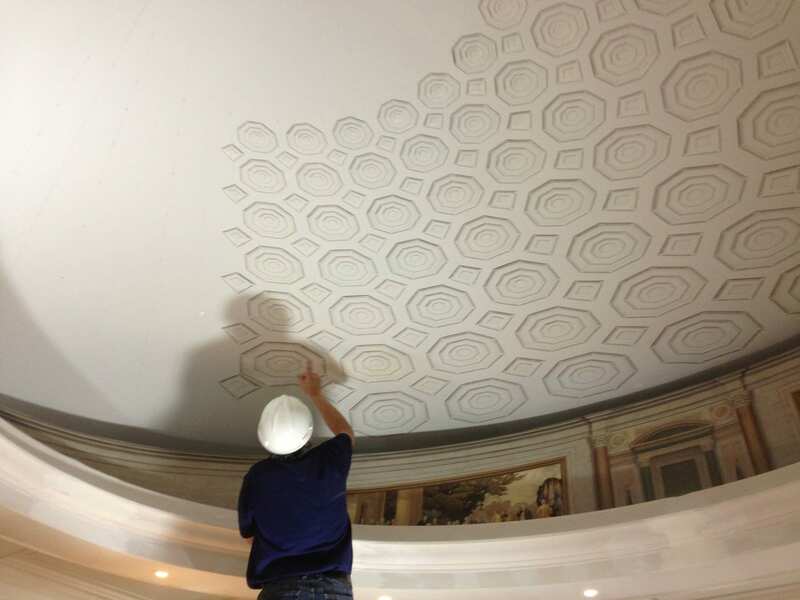 US National Archives Conservation | John Canning & Co.
A study and fine-art mural were created and installed by Canning Co. fine artists and artisans who also executed the simulated coffered ceiling detail in the half dome of the newly constructed visitor orientation plaza at the US National Archives building. 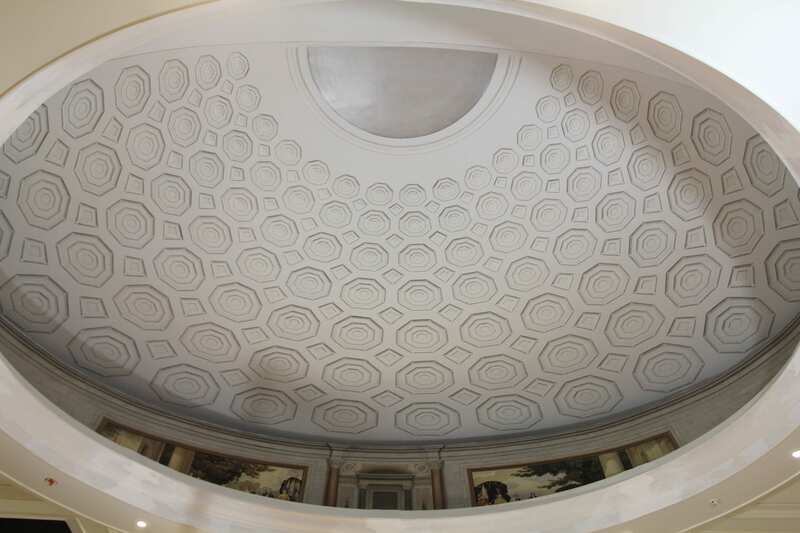 Planning & design; new building mural; new design scheme; decorative painting; trompe l'oeil. 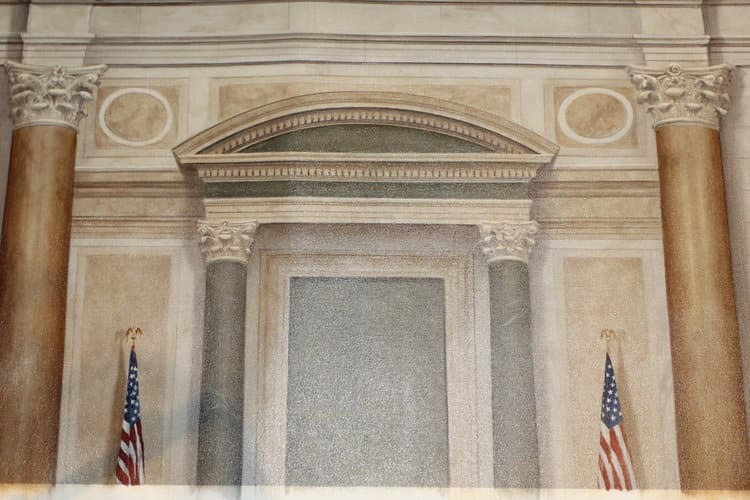 John Canning Co. was engaged by Hartman Cox Architects to assist with the design of a new mural proposed for a shallow dome in the new visitor orientation plaza, located a level beneath the Constitution exhibit hall. 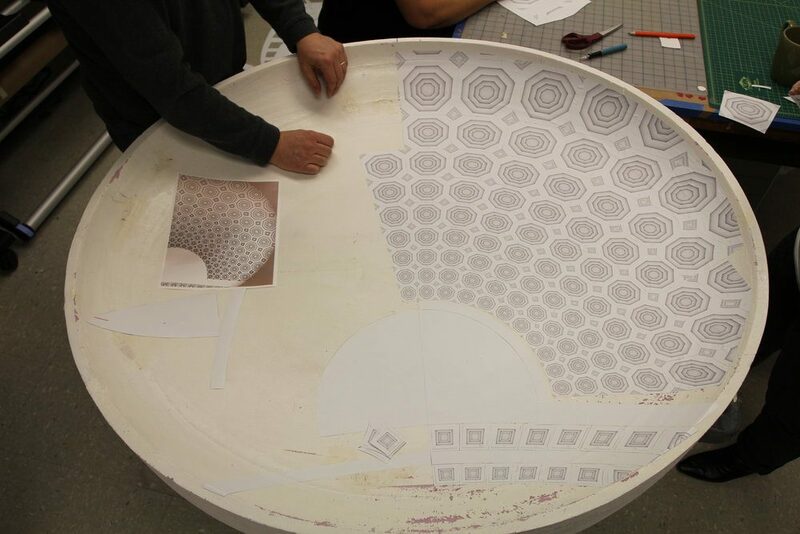 Executing the mural directly on the curved dome would cause visual distortion. 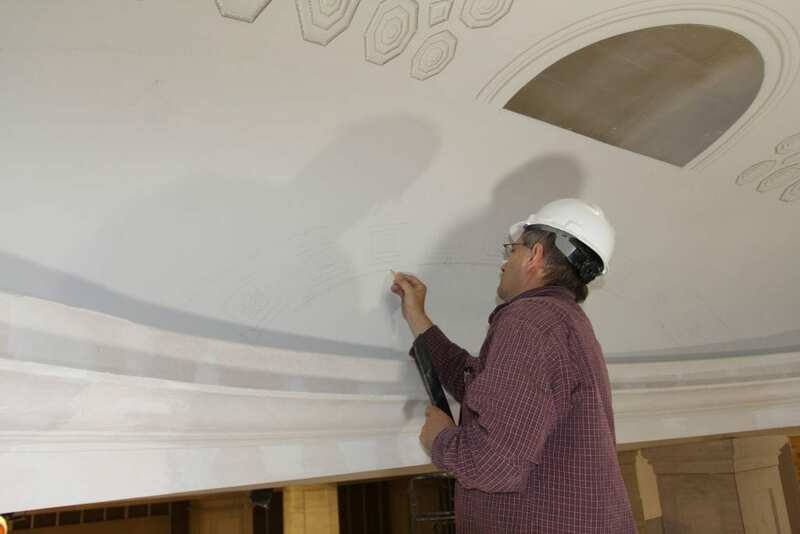 We proposed inserting a new curved wall, providing enough vertical space for a trompe l’oeil depiction of the upper portions of the Constitution display entablature; the coffered ceiling would be depicted on the dome.